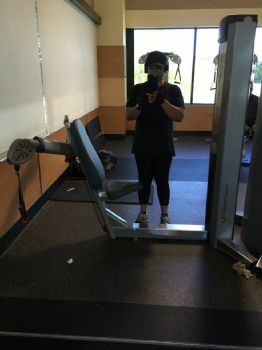 1 year progress of my Weight-loss Journey – Part 1. It has been exactly one year since I began my weight-loss journey. I can remember starting the class and thinking where will I be in one year? Will I accomplish my goals, will I still be on track? Will I even be successful? Yes, I had the determination and yes I believed I needed to make this transformation to avoid and reduce my impending health issues but I had attempted weight-loss countless times and failed in every attempt. Thankfully, yes I have achieved my goals and set new ones. I have removed all health issues and risks. I have reduced my body fat% to normal ranges (for my age), my BMI is under 30, I have increased my metabolism to “very active”. I have lost over 115 pounds and I have dropped a mind-blowing 10 dress sizes. Before I started on this journey I was very obese. I could not stand-up straight because my back would hurt. When I had to walk, I always wore my backpack to counter-balance my weight and to help support my back. I use to breathe heavily while just sitting still. I would snore so loud I would wake myself up. I got migrates often and it seemed like I was always sick. I was not physically active often and nutrition was just a word I heard when I went to the doctor. My health was on a downward spiral because I was pre diabetic and hypertensive. I started to have a side pain and nausea often because of the foods I ate. My husband’s health was also deteriorating and he was knocking at death’s door. In fact, we had to postpone our original start date for the program because he had a critical medical emergency that nearly turned fatal. Unfortunately, I let my health push me into a corner but one year ago I finally came back swinging. We both joined the Kaiser Weight-loss Management Program which I truly believe was a lifeline. Before we started I removed all food from my home and briefed our support team. We officially started the program Nov 26, 2014. For 16 weeks we had meal replacements which included four shakes and two proteins bars; totaling only 960 calories. This was a far cry from the 3000 calories I probably consumed on an average day. We had to eat 2 -3 hours a day and drink at least one gallon of water. The first week was tough with the lack of food, eating every 2-3 hours, and drinking all that water. I stayed focus and successfully completed the week. My success resulted in a 10 pound weight-loss. As the saying goes, the proof was in the puddling. The classes were structured to provide information and group support. We learned about nutrition, fitness and developed our health tool-box. The weekly check-ups (Weight and blood-pressure) kept us accountable. The monthly doctor checks ensured we were on the right track. During class, the facilitator advised us to increase our fitness level. The second week my husband and I joined a local gym and began an early morning workout routine. On the weekend we would do at least 2 hours of cardio. I got over the looks and stares when we were working out. Even when we walked or rode our bikes the stares and snickers were ridiculous. How ironic, when you are obese people talk bad about you; when you are doing something about it people are laughing at you. I was so focused on my goals that nonsense couldn’t deter me. In the second week I dropped 7 pounds. Adding fitness helped increase my weight-loss. Every week I lost at least 5 pounds or more. To ensure we were getting the most out of our workouts we hired a personal trainer. She worked with my husband first in individual sessions then worked with me. To maximize a workout, she taught us to include both cardio and strength training. This helped us not only increase our fitness but also save time in the gym by not waste energy on a two hour cardio session. She taught us about circuit training which guards against getting stuck on a plateau. After 16 weeks on the program I lost 70 pounds and my husband lost over 100. We were both excited and scared to start on the next phase which was transition back to real food. You will be able to read about Phase two in the next installment of my 1 year progress report. Before I started the journey. Granny was cooking us our favorite meal. Riding my bike on the weekend. No you don’t have to give up your favorites; shocking? I bet it is but no you don’t have to give up what you love but you do have to modify it. 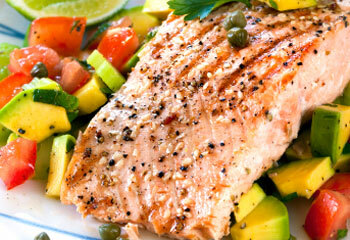 Depending on your goals you may either have to reduce the amount or change the way you eat food. Unfortunately, it may be healthier for you to get rid of that favorite brownie or crispy fried chicken but there are millions of healthy alternatives. It truly boils down to choices. For instance, the calories in one brownie can be over 200 calories and 10 grams of fat. To reduce your calories you can cut that brownie into twos or fours and have it over two or four days. This can help with cravings if you just have to have it. Instead of that crispy fried chicken, try grilling it, baking it with bran flakes, or simply frying it with healthier options and limiting how many pieces you eat. If healthier is your goal drink more water and make fruits and veggies the main ingredients of your meals. No you don’t have to join a gym. Getting fit can include anything that gets you moving and increases your heart rate. My personal favorite is walking but if you can’t or just don’t want to walk you can do housework, yard-work, dance (even in your chair), skate, skip, etc.. You just have to get moving and once you get started your endurance will increase and you may want to start doing more. 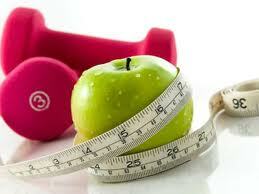 With weight-loss and weight maintenance fitness and nutrition go hand-in-hand. To reach your goal, the key is learning how to balance the two. A lot of studies suggest strategies such as Calorie in VS calorie out. But for every report you read there may be 10 other reports that discredit that report. Who or what can you believe? You can ask your Doctor, maybe he/she knows or can refer you. If you can’t talk to a doctor, research what is the best plan for you. I can’t tell or suggest a plan because I am still learning and what worked for me might not work for you; which is so maddening. But I do suggest to start monitoring your food and modifying your calorie intake. Clearly if you are overweight or obese what you are currently eating is not the key. So try limiting the amount of food you eat. Instead of drinking four cans of soda try drinking one and drink more water instead. Adopt a fitness plan that will be easy to adjust and maintain. Don’t panic.. There are tools that will help you establish a plan. I successfully use Sparkpeople. Sparkpeople lets you track and monitor your food, exercise and goals. There are also teams and communities you can use for support. MyfitnessPal is another website like Sparkpeople and there are many others; you just have to pick the plan that works for you. There are several wearables available. I use a Fitbit Surge. What is great about Fitbit is that it tracks your steps and monitors your heart-rate (useful during exercise). Another cool feature to Fitbit are the FitBit Challenges. You can challenge other Fitbit users to Daily, Workweek, or Weekend challenges. I won countless workweek challenges by increasing my steps which in turn assisted in my health and fitness. I joined a program and hired a trainer but there are plenty of resources you can utilize to assist with your weight-loss. The key to remember when deciding if you want to join a program is you need to ask the important questions: Will this help me lose weight safely? Does this plan involve changing my lifestyle? Does this plan recommend fitness? 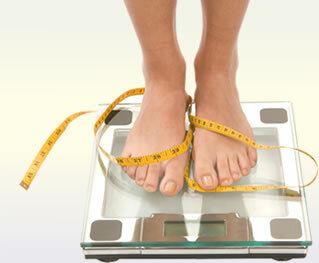 Can I maintain this plan for life-time weight management?